So I guess pre-teen text lingo has become appropriate fodder for song titles? FYI for those whose brains have not been entirely corrupted by the age of the acronym, ILYSB = I Love You So Bad. 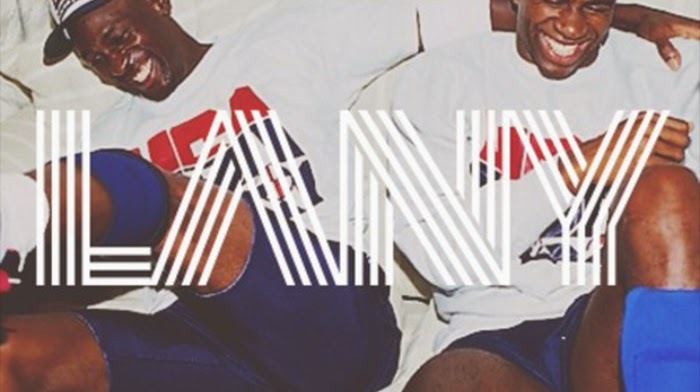 It appears as if LANY (is that a combo of LA and NY? so edgy, so eclectic) is trying to make acronyms a "thing." Along with ILYSB, they've released a track titled BRB. Coming soon, SMH and IDK my BFF Jill!! But not to worry, their facebook page offers guidance to those struggling to grasp the aim of these cryptic wordsmiths- "WELCOME TO JULY. WELCOME TO 'ACRONYMS.' WELCOME TO THE REST OF YOUR LIFE, 'CAUSE WE'RE GONNA BE AROUND FOREVER." Um, I beg to differ LANY. A word of advice? Change your name to something that doesn't make me want to chant "LANA GOT CONED"** and learn to use entire words. Despite the fact that they should fire their image consultant, this song is actually good. Simple, sweet, a little sentimental (even including semi-obnoxious use of the lyric "I'm hella obsessed with your face").I like catch myself smiling when I listen to this. DAMN YOU AND YOUR ACRONYM BRILLIANCE LANY! BBL, trying to solve this existential crisis. **princess diaries reference, although I really hope no one had to consult this footnote to remember that gem of cinematic humor involving a still teenage, still blonde Mandy Moore.